As a member of the International Association of Lions Clubs, the Port Barre Lions Club embodies the motto of "We Serve"
Formed in 1917, the International Association of Lions Club is the world’s largest and most active service club organization, With over 47,000 clubs in every corner of the globe, no matter where you go, there’s probably a Lions Club nearby. We proudly wear our colors of purple and gold standing for loyalty, integrity, generosity in mind and heart. The Port Barre Lions Club was chartered in 1985 and held the first Cracklin Festival that same year. In addition to the Cracklin Festival the Port Barre Lions Club also hosts other fundraisers and service projects throughout the year. 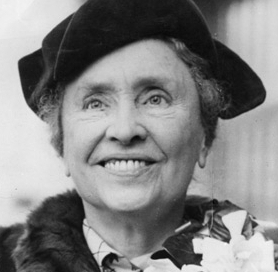 In her speech to the 1925 Lions Club International Convention, Helen Keller famously said "Will you not help me hasten the day when there shall be no preventable blindness; no little deaf, blind child untaught; no blind man or woman unaided? I appeal to you Lions, you who have your sight, your hearing, you who are strong and brave and kind. Will you not constitute yourselves Knights of the Blind in this crusade against darkness?" To this day Lions across the globe strive to live up to her challenge. Here at the Port Barre Lions Club we also do our part to answer her call. The club's other major yearly project is the assistance of special needs children. From supporting the great work of the Louisiana Lions Camp to helping local children acquire needed mobility items, we try to help in any way we can. If you or someone you know might benefit from our services, please get in touch with us through our Contact page.